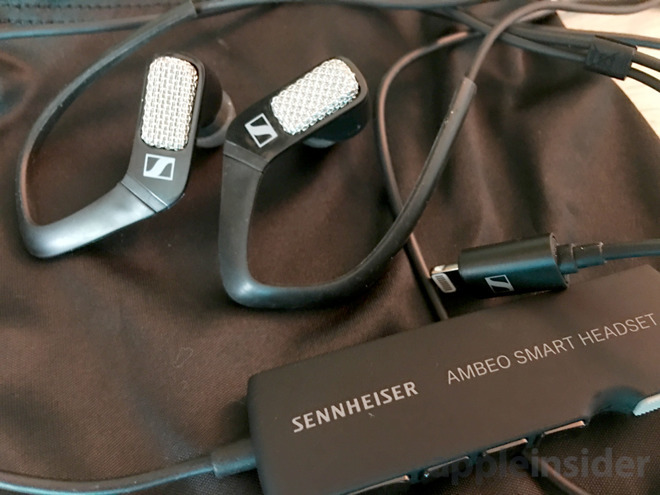 If you're not particular, the Ambeo is about a simple as any other headphones — you can just plug them into an iPhone or iPad's Lightning port and be ready to go. 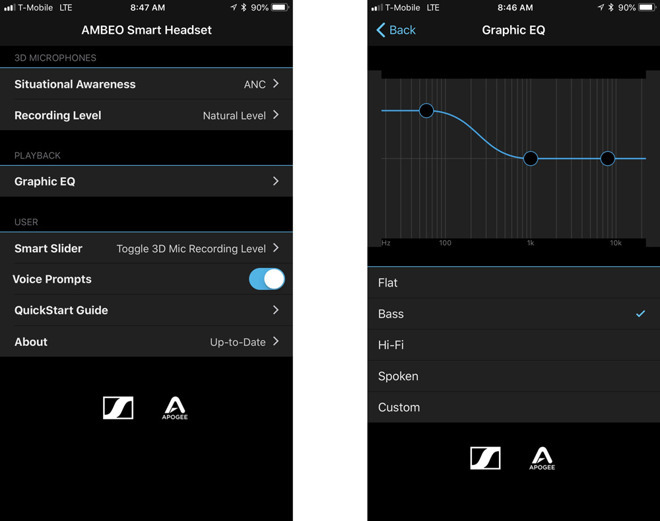 We would suggest downloading the company's iOS app however, since the headset's EQ settings are set to be perfectly flat by default, and most people will want more bass. In our initial testing audio seems to be extremely crisp and clear, but where it really begins to come into its own is noise cancellation. 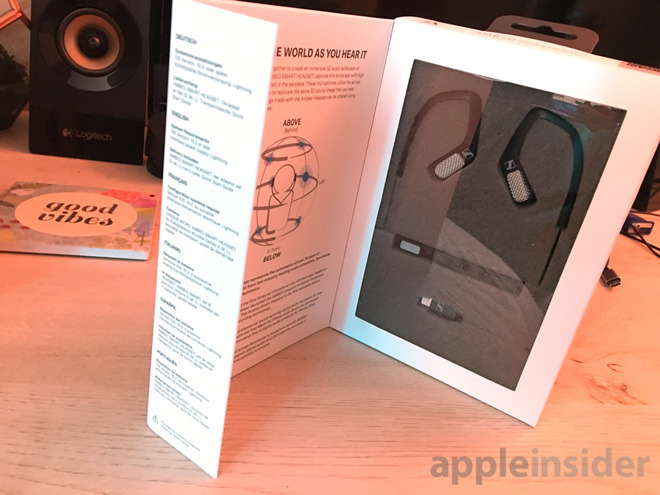 Active noise cancellation is what you'll probably use most of the time — this reduces (though doesn't eliminate) any persistent background noise, such as traffic, wind, or jet engines. Perhaps the neatest feature of the Ambeo is its binaural recording, even if its practicality is limited. As a quick primer, binaural recording captures audio in 3D — which means that when you listen to media in that format you'll hear it as if you were there, assuming you're wearing a good pair of headphones. You'll note that if you try to play the same file back on a pair of desktop speakers, the results are pretty underwhelming — it sounds extremely quiet with little discernible separation. It's still somewhat quiet with headphones, but significantly clearer and exactly as if you were really there, with sounds at the right volume, location, and distance.